Hi Folks. I just finished the Whole Earth Festival in Davis,CA. It was my second year participating in that festival. The weather was perfect, and it was a great weekend. Good music and lovely crowd of folks enjoying the days events. 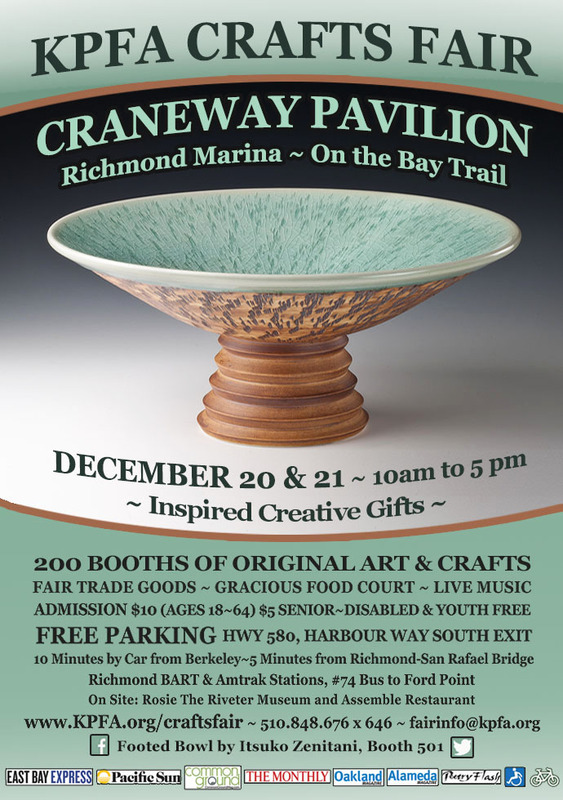 Thank you to everyone who came by the booth to smile and enjoy my ceramics. I am busy playing with new ideas and working on some favorites for three more events coming up in the next months. I have heard many good things about the Kate Wolf festival and its venue. Its a first for me here, and I’m looking forward to all the great music. Hi Folks. Nevada City show was really a sweet experience and lovely location. I could live in that town!! 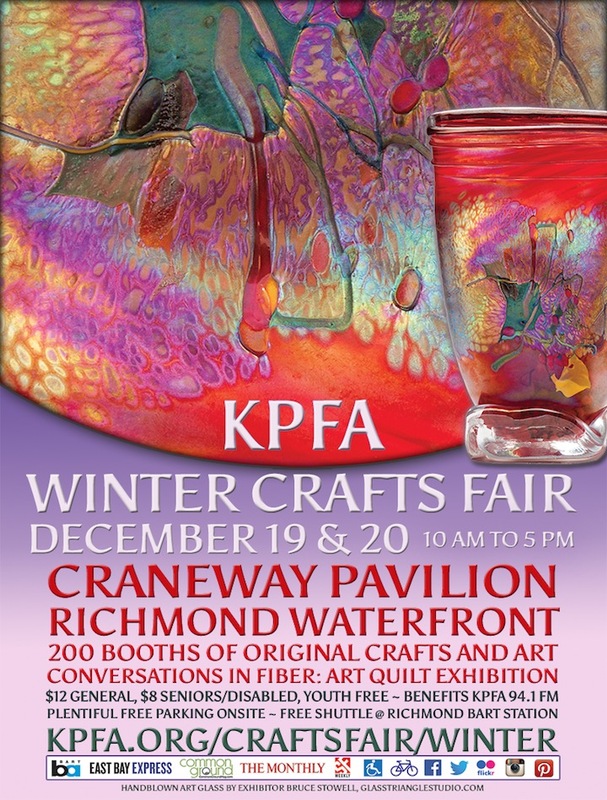 Here is some information about my upcoming show in Richmond, CA December 20-21. Public Radio KPFA benefit showcase of art. New Location this year. Lots of new work. I always look forward to this show. I send thoughts of a Healthy, Happy Holiday season to you all. May it be FULL of warmth, friends, and LOVED ONES. Hi All. Here are some links to details of the Nevada City Show. Have a warm and Happy Holiday season. Hi folks, I will work on uploading photos of new work very soon. I’m busy getting ready for Mount Shasta’s July 4-6 event. I will be on Castle street for the 3 day event. I had a Great Time at the Whole Earth Festival!! 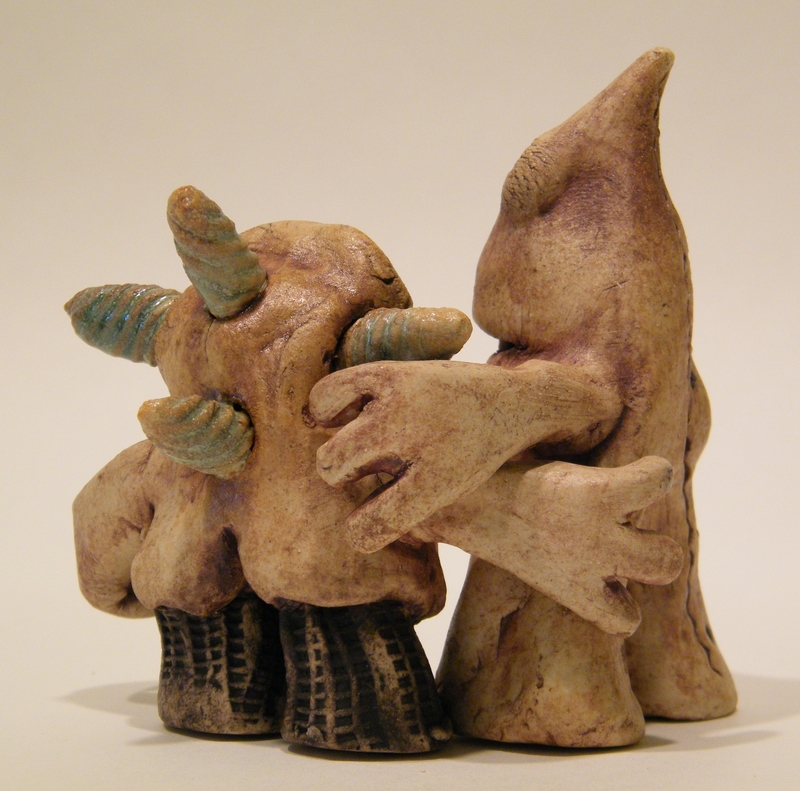 Now its time to create more for the rest of my summer events…Let’s not forget Open Studio Chico in October, hoping that will be a stellar couple of weekends here at the studio making monsters and creatures with visitors. More about that later. I really wanted to leave a post quickly with a link to the Mount Shasta event so folks have a chance to look into that possible road-trip adventure. Mount Shasta July 4 is Adorable small town fun in an Incredibly beautiful location.